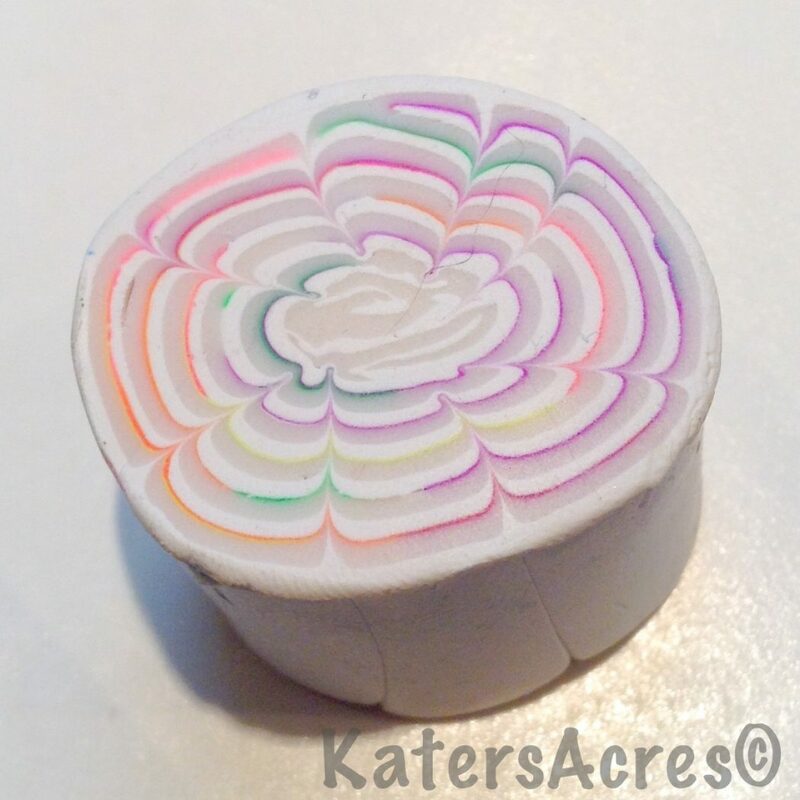 As often as I can, I will chronicle my journey through the 52 weekly cane polymer clay cane projects by sharing the tutorial that we were to learn from, what I created, & if it’s different a tutorial link or tutorial of my own for you to try. Our polymer clay cane project/tutorial for the first week was to create a very simple spiral cane using this tutorial as an example. I however took my cane one step further and created a Chrysanthemum cane. Aniko from Mandarin Duck created this lovely video tutorial for PCPolyzine’s YouTube channel. Thank you for the video. I think I need a pasta-maschine! You are welcome – It’s not MY video though … it’s Aniko’s. I really enjoy what you are doing. Thank you for doing such a nice job! You are welcome! Thanks for joining in all the adventures Judy.